Euro air line male bayonet coupler. 1/4" BSP male thread. Euro quick release air line male bayonet coupler. 1/4" BSP female thread. 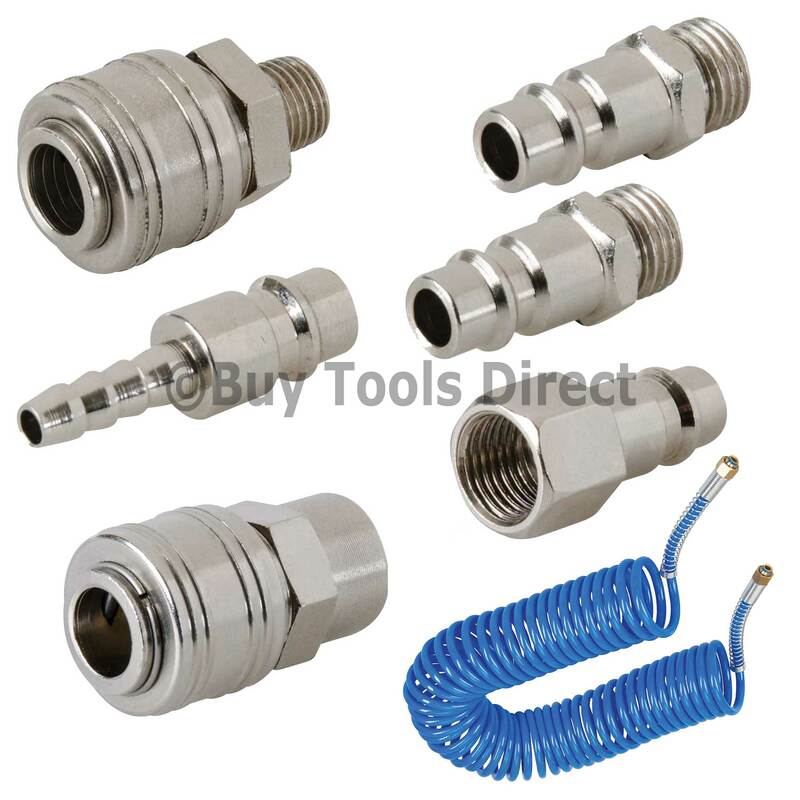 1/4" BSP male thread Euro quick coupler socket. 1/4" BSP female thread Euro quick coupler socket. 2 Pack of hose end couplings. Euro quick bayonet socket to 8mm hose end. 6mm internal diameter; 8mm external diameter.